Take a drive down Tennessee’s winding roads any time of the year, and you’ll likely be surrounded by trees. In fact, forests stretch over 14 million acres, or an astounding 52 percent, of the state. These vast expanses of trees lend themselves to wildlife habitats, air and water quality improvement, and timber production – plus, they are a huge boon to the local economy. This renewable resource accounts for roughly $19.6 billion and employs close to 100,000 Tennesseans. Just as shoppers seek out Pick Tennessee Products at the grocery store, a new branding initiative is making it easier for consumers to spot local wood products. Sponsored by Tennessee Department of Agriculture (TDA), the signature Tennessee Wood Products logo identifies timber and other wood products as high-quality, hewn from Tennessee’s abundant and sustainable forests. One of several companies proudly touting the Tennessee Wood Products logo is Middle Tennessee Lumber Co., a family- owned business that produces hardwood lumber, flooring and molding. 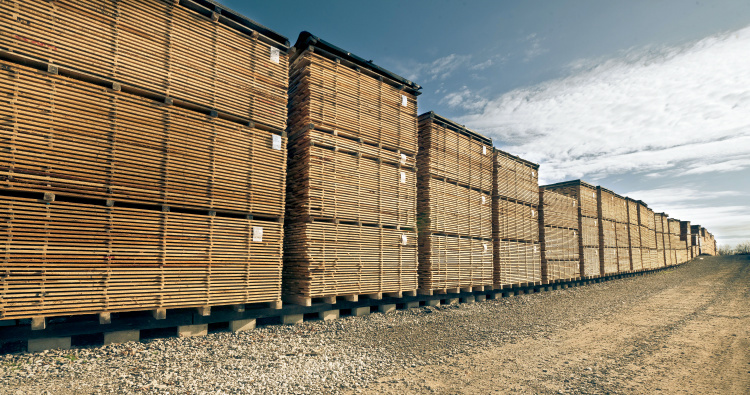 Based just west of Nashville in Burns, the company is best known for its unfinished flooring, which highlights the natural characteristics of Tennessee timber and lasts for generations. 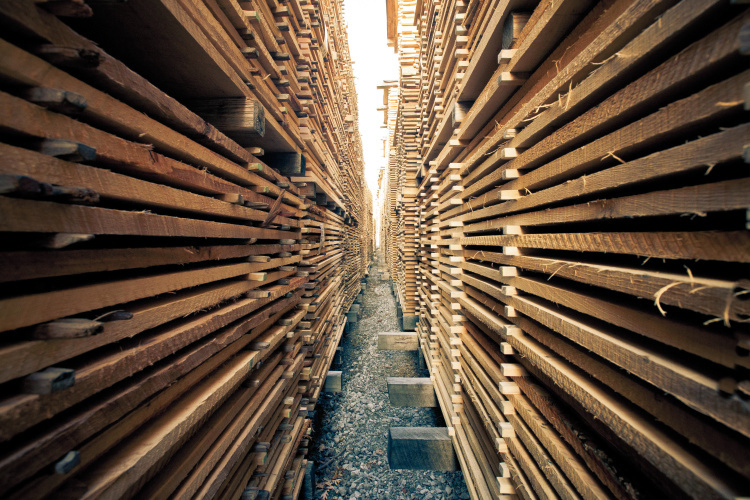 Founded in the 1930s, Middle Tennessee Lumber Co. exclusively uses Appalachian hardwood from the Highland Rim, the hilly area encircling the Nashville Basin, which produces lumber with impressively consistent colors and tight grain patterns. 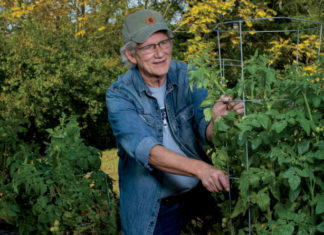 The growth rate of these local trees is faster than it would be in a northern climate, which makes it the perfect location to harvest hardwoods sustainably for years. True to his word, in addition to the Tennessee Wood Products logo, every single order the company sends out includes a stamp of approval bearing the individual craftsman’s name. 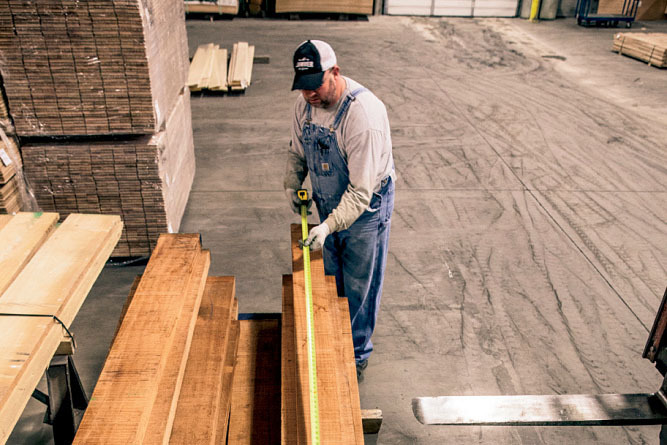 With its strong focus on creating heirloom products, it’s no surprise that Middle Tennessee Lumber prioritizes sustainability in its company values. Its forests are certified sustainable, replenishing trees at more than two times the rate of harvest.